Citronella Incense Sticks that are 100% natural with pleasant citrus aroma. 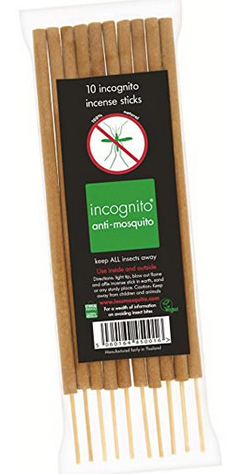 Incognito's Incense sticks are slow burning and will burn for approximately 1 hour and 20 minutes. The fresh aroma will enhance any room, they are highly effective and the light smoke helps to deter insects. The Citrus fragrance is also perfect for relaxation and stress relief. The aroma released by the Java citronella significantly helps to reduce your attractiveness to insects. 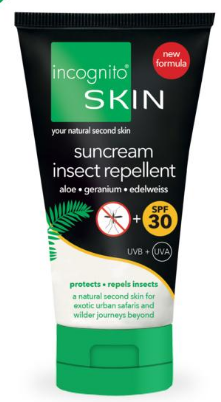 For complete protection anywhere in the world, use in conjunction with incognito®'s Spray, Suncream and other insect repelling products. Suitable for Vegans. Registered with the Vegan Society. 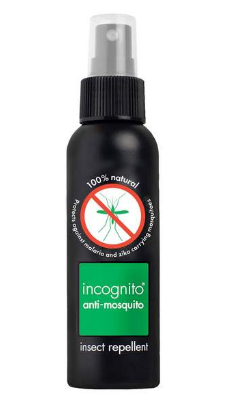 How to use Incognito's Citronella Incense Sticks; Place in a sturdy place, light the tip of the stick then blow out the flame. Ensure to keep away from children and animals, as well as proper ventilation when humans or animals are inside. The Incense Sticks are safe to burn indoors or outdoors. Ingredients; Parawood, lemongrass, cocos nucifera (coconut) oil. Sustainably packed. 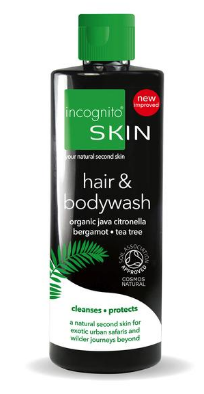 incognito® products use all natural ingredients which means that different batches can smell, look and feel different. Packaging; Recyclable check local recycling.